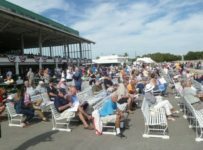 The dirt track is listed as fast and the turf is listed as firm on Friday at Tampa Bay Downs, which has a nine-race card with first post of 12:24 p.m.
On Saturday, Tampa Bay also will have nine races, again with first post of 12:24 p.m. The Oldsmar, Fla., track will be dark this Sunday,and will add Sundays to its racing schedule on Dec.31. Across the state, Gulfstream Park in Hallandale Beach, will open its 2017-2018 championship meet in Saturday–with a card that has the nine stakes races in the national Claiming Crown. 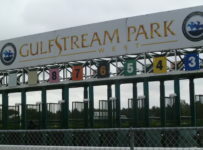 First post is 12:00 p.m. for the program that has eleven total races.’On Sunday, Gulfstream will have ten races with first post of 12:35 p.m.